Is Mark Ellis Going to Fix The Rockies? Texas has already had much to celebrate about, but the best might be yet to come. They might run different clubs now, but both Theo Epstein of the Cubs and Ben Cherington of the Red Sox extolled much the same message in their introductions. Building an organization focused on “sustained success” sounds like a nice cliche, but it’s a key component of team construction that organizations emphasize to varying degrees. Texas and their young general manager Jon Daniels has taken this to heart, building what many in the game are starting to recognize as a model organization – one built to last. So their current major league team is cheap, cost controlled and talented. But that alone doesn’t make bode for sustainable success. Indeed, Texas will likely lose its ace for a second consecutive year, in CJ Wilson. It’s how equipped they are to replace him, and how equipped they were to replace Cliff Lee a year ago, that shows just how strong a position they are in. Jon Daniels was promoted to GM in 2005, but it wasn’t until 2007 when he began taking the steps that have put the Rangers in such an enviable place. Beginning with the Mark Teixeira trade, which netted Texas Jarrod Saltalamacchia, Matt Harrison, Neftali Feliz and Elvis Andrus, Daniels has made building a strong farm system one of his key priorities. While they’ve drafted reasonably well, where they have excelled is in the international market. LHP Martin Perez has been on the scene for a couple of years now as a potentially top of the rotation arm. He’s battled inconsistency yet reached AA as an 18 year old. He’s 20 now and could reach the bigs in 2012. 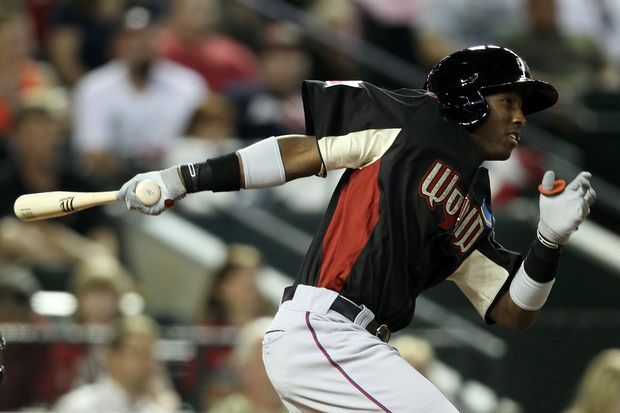 Texas’ most exciting prospect, perhaps its top player, is shortstop Jurickson Profar. Profar, who burst onto the scene at the 2011 Futures Game, is just 18 years old and has only just now completed his first full season of pro ball. He’s shown serious promise, hitting 12 home runs with 23 steals at High-A Hickory. He’s a plus defender with projectability in all five tools. David Perez and Miguel De Los Santos are right behind Martin Perez in Texas starting pitching pipeline. De Los Santos made major strides in 2011, striking out 142 in just 94.2 innings. He could move quickly in 2012. Just as exciting for Rangers fans is the signing of dual 16 year old Dominicans Ronald Guzman and Nomar Mazara. The two received record bonuses of $3.5M (Guzman) and $5M (Mazara). Both are obviously years away from the big leagues, but offer some potential first-division talent in years to come. What Daniels has achieved in Texas, and what Cherington and Epstein will seek to match, is to create a sustainable baseball machine that can lose key players and replace them from within. Cost-controlled young players are one of the most valuable assets in baseball, and Texas has capitalized by building a system that is both flush with high end talent and deep. Their new TV deal, which pays them $80M per year, only makes them all the more dangerous. Already pundits are floating names like Fielder and Pujols as potential free agent pickups. Texas hasn’t been considered a big dog over the past decade, but with a contending big league team, a stacked farm system and a big budget, we could be looking at the closest thing to a dynasty this game has seen since the 90’s Yankees. There’s been plenty of clamor over the past week about the upcoming All Star Game, and certainly an event that brings together the game’s best and brightest is well worth the attention. All Star Weekend, though, is more than just the Major League Game. One of the true hidden gems is the Futures Game, a showcase of many of the game’s top prospects. It’s an opportunity to get a first look at many of the minor leaguers who will populate major league rosters in the years to come. Like the major league game, every organization is represented, with a maximum of two per team. Past Futures Games MVP’s included future stars Alfonso Soriano (1999), Jose Reyes (2002) and Billy Butler (2006). Last year’s game served as a coming out party for OF Mike Trout (Angels), Eric Hosmer (Royals) and Jeremy Hellickson (Rays). Other players to reach the majors from the game include Zach Britton (Orioles), Dom Brown (Phillies), Lonnie Chisenhall (Indians), Dan Hudson (Diamondbacks), Jordan Lyles (Astros), Mike Minor (Braves), Logan Morrison (Marlins), Mike Moustakas (Royals) and Ben Revere (Twins). Shelby Miller (Cardinals) – Miller is a hard throwing right hander and along with Julio Teheran is considered to be one of the top pitchers left in the minor leagues. He’s struck out 119 in 91 innings between High A and AA ball this year while putting together a 2.47 ERA. Matt Moore (Rays) – Moore has torn up AA, striking out 115 in 89.2 innings. He’s put up a 2.21 ERA and has also thrown a no hitter. Tyler Thornburg (Brewers) – Thornburg has generated Tim Lincecum comparisons due to his small (5’11, 185) frame. While his stuff isn’t as good, he has struck out over a batter per inning and has just a 1.47 ERA in 14 starts this year. Paul Goldschmidt (Diamondbacks) – Goldschmidt has been fantastic in 2011, he’s already hit 25 HR and proven that his 2010 Cal League performance (35 HR), is no fluke. Manny Machado (Orioles) – The third pick in the 2010 draft has just gotten his feet wet with 212 plate appearances but has Orioles fans dreaming of a poor man’s Alex Rodriguez. Gary Brown (Giants) – Brown, also a 2010 first rounder, is one of the fastest players in baseball (34 steals in 2011) and has shown more power than expected (7 HR) for San Francisco’s High A team. Carlos Martinez (Cardinals) – This skinny (6’0, 165 lb) right-hander has drawn rave reviews in 2011 by throwing his fastball in the high 90’s. He’s just 19 years old and has Cardinals fans dreaming big. Julio Teheran (Braves) – Teheran has started twice for the big league club with mediocre results. His performance in AAA has been anything but, he’s thoroughly dominated, going 9-1 with a 1.79 ERA. His command is his calling card, as he’s allowed just 72 hits and 25 walks in 95.2 innings. He sits in the low 90’s but can reach the upper 90’s when pitching for a strikeout. Arodys Vizcaino (Braves) – It shouldn’t shock anybody to see the Braves with another top pitching prospect. Vizcaino was stolen from the Yankees in the Javier Vazquez trade. He throws in the high 90’s and has reached triple digits on a number of occasions. He’s battled injury but has one of the best fastballs in the game. Jurickson Profar (Rangers) – Profar has baseball people very excited. This 18 year old shortstop already has people wondering where Texas will move Elvis Andrus when he’s ready. He’s shown flashes of power (8 HR in 2011) and plays brilliant defense. He’s a quick riser with a ceiling that seems sky high. 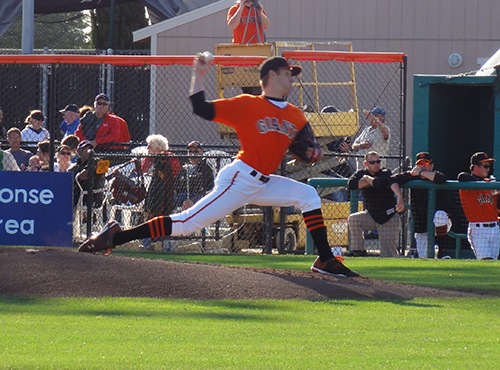 Took in last night’s San Jose Giants game featuring Giants top prospect, RHP Zack Wheeler. Wheeler was outstanding, going seven shutout innings with 12 strikeouts. He primarily featured an 88-89 MPH 2-seam fastball with run when pitching early in the count and dialed up his four seam as high as 96 MPH as a put away pitch. Early in the game he showed a 70-72 MPH changeup and a 75 MPH sharp spike curveball. His delivery is a bit herky-jerky with a slow leg kick and accelerated drive towards home. His arm action appears clean and he keeps his weight back well. Wheeler projects as a #1 or #2 SP at the major league level, but will need to throw his 4-seamer more often to keep big league hitter’s respect. He threw probably 60-70% 2-seam fastballs at lower velocity. He seemed to have great confidence in his curve while limiting the usage of his changeup. The curve is a plus pitch that will get swingthroughs at all levels. It’s likely that he’ll be sent to AA sometime soon, as he showed improved command. The Giants have to like what they’ve seen in 2011, as he’s recorded over a strikeout per inning. He’s a valuable trade piece who could push for a call up as soon as 2012. Posey has shined behind the dish for the Giants, but will the tools of ignorance take their toll? It’s been nearly a full calendar year since San Francisco called upon its most valued hitting prospect in recent memory. Catcher Buster Posey has lived up to the hype and more, carrying the squad to a World Series title with both his consistent offensive approach and deft work while wearing the mask. It’s this offensive and defensive value combination that has recently raised serious questions about the long term future of the 24 year old. Posey, who’s quickly vaulted himself into the discussion of top catchers in baseball (along with the Twins Joe Mauer and the Braves Brian McCann), has been taking an absolute beating this season. He’s taken numerous balls to the head and has scuffled compared to last season, when he won the ROY over Atlanta’s Jason Heyward – who’s dealing injuries of his own. While his play has been solid this season, logic would dictate that the toll of catching will, if it hasn’t already, impact his offensive value. Having a team’s premiere offensive player be it’s starting catcher is both a blessing and a curse. It can be a huge advantage, as most catcher don’t provide even league average offensive. The downside is the missed game, tired swings and busted knees that these guys end up with. The Twins Joe Mauer is a perfect example of this, having missed nearly all of 2011 with leg problems. The Mauer injury has to give pause to the Giants, who have played Posey almost exclusively at catcher since trading Bengie Molina in 2010. Resting Posey every 4-5 games – As detailed above, this would force a backup (Eli Whiteside) into Posey’s spot. Playing Posey at 1B – He’s shown flexibility in the past, having played all nine positions in a game while at Florida State and can play a solid first base. The problem going forward here is that first base is already crowded. Aubrey Huff is the teams’ everyday guy and has shown that he’s unusable elsewhere. Brandon Belt is coming soon and should immediately become the teams’ second or third best hitter. Playing Posey at another position – He grew up playing shortstop but almost certainly doesn’t have major league range at the position. He’s probably athletic enough to play third base for now, but Pablo Sandoval is (when healthy) an everyday guy there. Yankees catcher Russell Martin played some third base when he was with the Dodgers and it seemed to help keep him relatively fresh. Making a trade – No, I’m not advocating trading one of the faces of the franchise. What I’m saying here is that the Giants could benefit from bringing in another player with catcher and other positional value. Perhaps a guy who can catch once or twice a week while providing enough offense and athleticism at another position to be an everyday guy. Victor Martinez (who’s signed long term with Detroit) is exactly the type of complimentary player I’m talking about. He’s generously defensively average, can play first base and is a middle of the order bat. The Yankees top prospect Jesus Montero might actually be a fit as well, as most think that he’ll grow out of catcher and fits better as a Miguel Cabrera type first baseman. While a Montero-type bat would be huge at 1B/C – that still doesn’t solve the Huff/Belt block. While Belt would be a piece for most teams, he’d be blocked by Mark Teixiera in New York. The Giants would need to decide that he could play the outfield if they wanted to make a move like this. The cost of Montero could also be prohibitive, he’s worth a top prospect and a proven major leaguer. It might take a Jonathan Sanchez + Zack Wheeler combination to pry him away from Brian Cashman. Testing the Pablo limits – The Panda used to catch and he famously lost 35 lbs in the offseason. Could he offer the 3B/C flexibility that the team needs? Even if he just caught once a week that would keep Posey in the lineup while saving his knees. They’d want to explore this option in the offseason. Montero or another Catcher-flexible bat is probably a pipe dream and it’s likely that the team will incorporate a hybrid of the first two or possibly three options. Employing a rotation where you’re resting either Sandoval, Huff or Posey twice a week won’t hurt the lineup too much and should help keep Posey fresh. It wouldn’t shock me to see Huff traded if the team can find an American League team in need of a veteran presence. Such a move would open the spot for Belt and the occasional Posey start. Belt could play the outfield or sit on days that Posey plays first. So 900 words later there’s still serious question about what the team will do. While no immediate solution is needed, this has to be on management’s mind going forward. 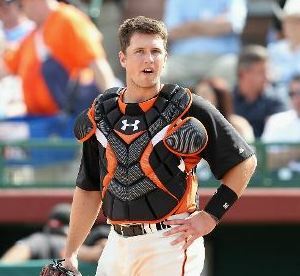 As an informal KNBR survey stated, there’s no player that the team can afford to lose less than Buster Posey and catching him everyday exposes him to serious risk and fatigue. It’ll be critical to look at the Twins as a cautionary tale of wielding the double-edged sword that is an elite catcher. This will become even more important when the time comes to extend its star catcher. 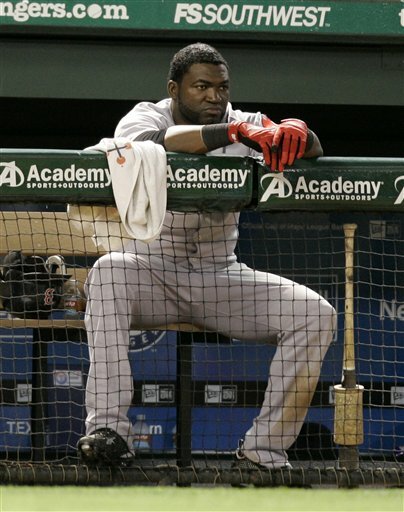 The Boston Red Sox and Tampa Bay Rays have both started the 2011 campaign with an 0-6 record. With two series completed, these two AL East teams are still winless. Six games into the season, is it time to panic? The Red Sox came into the season favored by many to win the World Series. Everyone was talking about their lineup with the additions of Carl Crawford and Adrian Gonzalez. How could they be stopped? The Rangers and Indians showed how to stop this team. Take advantage of that shaky pitching staff. After Jon Lester and youngster Clay Buchholz, their staff is shaky at best. John Lackey is not the same pitcher he used to be. Neither is Josh Beckett. And Daisuke is well, Daisuke. He has not been the pitcher the Red Sox hoped to be getting for much of his time in the states. It might not be time to panic because with that offense, they should win a lot of games but they need another arm to solidify that rotation. Their weakness has been discovered and they do not look as scary to other teams as they did going into the season. The Rays might need to be a little quicker to push the panic button because they do not have the offensive threat that the Red Sox have. They not only have not won a game, they also have put their biggest offensive threat Evan Longoria on the DL and have lost their biggest offseason acquisition Manny Ramirez to an abrupt retirement. Things are going from bad to worse down in Tampa. The defending AL East Champions are reeling and in that division, a slow start could be the end of it. My question now is, will the fast-starting Baltimore Orioles end the season with a better record than the Rays? In this game, anything can happen. The Red Sox bats came to life today to help them get their first win of the season. They defeated rivals New York Yankees 9-6. Lackey gave up 6 earned runs but the offense backed him up today. It felt good to be back at Fenway for the Sox and they look to right the ship and get back to winning games. The Rays take on the Chicago White Sox later today as they look to be the last team to get in the win column.